We regulate the health professions in the country in aspects pertaining to Registration, Accreditation, Health Facilities Licensing, education and training, professional conduct and ethical behaviour, ensuring continuing professional development, and fostering compliance with healthcare standards. Registration with the Health Professions Council of Zambia is a requirement for professional practice and it is also legal to keep all personal details and practice licenses up to date at all times. The government of the Republic of Zambia through the Ministry of Health (MoH) spearheads the provision of health services in Zambia. 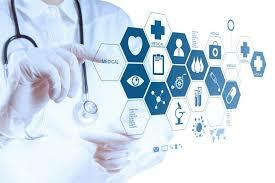 It is the major provider of healthcare services to the general public. With the introduction of the Health Professions Act, the Council has been given the mandate to register and regulate all Health Facilities in Zambia, both public and private and Training Institutions teaching health sciences. Recognition and approval of training programmes for health practitioners. HPCZ would like to inform all Health Practitioners (Zambians and Non-Zambians) on the Government Payroll Management Establishment and Control (PMEC) System, that we have introduced online renewal services strictly for renewing, downloading and printing of practicing licences and certificates. Registrants can access the service commencing 18th December 2018. Kindly take this as official notification from the Health Professions Council of Zambia. It is a requirement under the health Professions Act.24 of the Laws of Zambia that all health practitioners should renew their practicing licences before the beginning of each year. Following the notice issued on 3rd October, 2018 concerning renewal of 2019 licenses and certificates, HPCZ would like to inform all health practitioners on government Payroll Management Establishment and Control (PMEC) system that deductions for the year 2019 practicing licences renewal were effected this October 2018. This is to meet requirements of the HPCZ Act which demand that all health practitioners must have a valid practicing licence by 1st January of each year. HPCZ sincerely apologises for the inconvenience caused for not communicating in advance. Dated : Saturday 27th October, 2018. 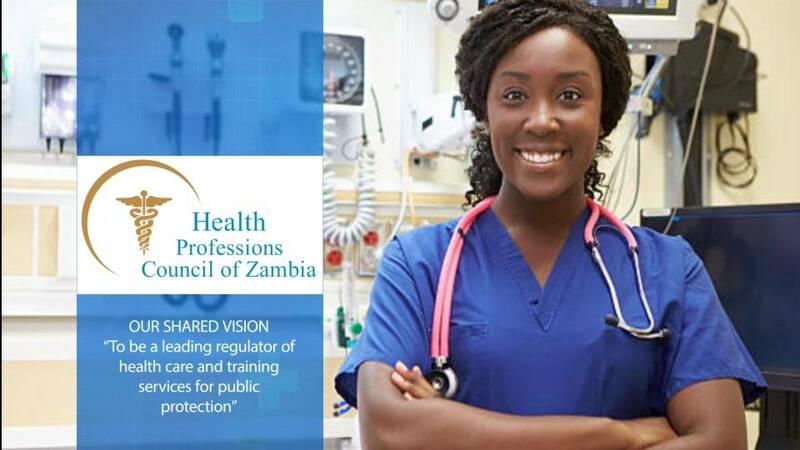 The Health Professions Council of Zambia- HPCZ has resolved to with immediate effect abolish conducting Professional Licensure Examinations, both Theory and Practical. As you may be aware, passing Licensure Examinations has been a prerequisite for HPCZ to issue Certificates permitting Health Practitioners to Practice in any facility within Zambia. This means that Candidates who were scheduled to sit for the February-March 2019 Examination will not be required to do so but can proceed to register as Health Practitioners. All fees paid by the Candidates for the February-March Examination will be channelled to their registration. However, Foreign-trained Health Practitioners as per provision of Section 10 of the Health Professions Act No. 24 of 2009 will be required to undergo Assessment Examination conducted by a Training Institution in Zambia, recognised by HPCZ. It must be noted that the development does not compromise HPCZ’s quest to enforce high Standards of training, neither should it be perceived as leeway for Training Institutions to be reluctant in offering quality training to their Students because access to skilled healthcare for all, remains a priority for the Health Professions Council of Zambia. The Council shall hold individual Lecturers/Trainers accountable for any failure in the training standards. Therefore, there shall be enhanced monitoring of Health Training Programmes to evaluate quality improvement. The Council shall further ensure close monitoring of the mode of delivery of the approved Training Programmes to assure quality for the graduand. The Health Professions Council of Zambia would like to urge Training Institutions to come up with self-evaluation mechanisms as a way of demonstrating commitment to adhere to set Standards and ensure that there are quality improvement systems in place. This serves to remind all Health Practitioners, Training Institutions and Health Facilities licensed under the Health Professions Act No. 24 of 2009 of the Laws of Zambia that you are required to renew your practicing certificates and approval licenses for 2019. The renewal exercise will run from October 1st 2018 to December 31st 2018 and please note that there will be no extension. Avoid any inconveniences that could result from failure to comply with the conditions of your licence/certificate as stipulated in the Law. Cheque deposits shall also be accepted. Press Statement Dated : Tuesday 13th November 2018. The Health Professions Council of Zambia has confirmed receipt of a complaint from the public on the alleged violation of patients’ right to privacy and confidentiality who were attending Anti-Retro Viral Treatment (ART) session conducted by Mr. Mwansa Chalwe, Clinical Officer General holder of license number HPCZ 10/2/14/06491 working at Nansenga Clinic in Itezhi-tezi, Central Province. It is alleged that Mr. Mwansa Chalwe, posted pictures of clients (Patients) during an ART session on his Facebook page which violated their privacy and confidentiality. The alleged action by the Clinical Officer General was unethical and a professional misconduct. Mr. Chalwe has since been served with a letter of suspension of his practicing license while HPCZ conducts further investigations into the matter.